Click Here To See Creatures on the Loose #34 Comic Book! Check out this very SPLASH page, which was penciled by the great George Perez, and inked by the great Frank McLaughlin, from the story titled: "Nightflight!" 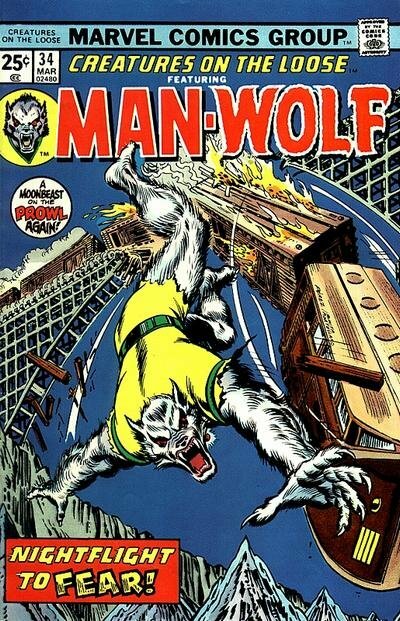 This SPLASH, drawn by the great GEORGE PEREZ, features NICE image of the Man-Wolf on train tracks with small close up images of Manwolf also pictured! 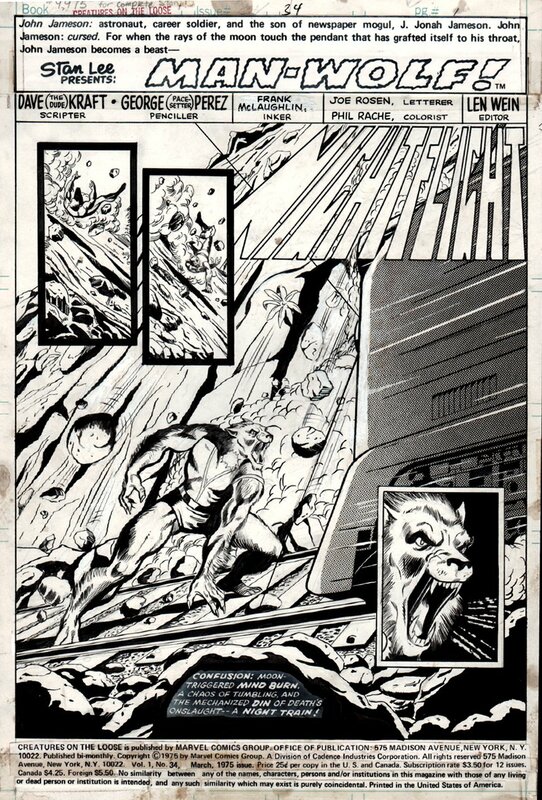 Just a great opportunity here to own this great 1975 GEORGE PEREZ splash!